Leave a comment on THIS post through Tuesday, April 25, 2017 to be entered in the DRAWING for a copy of the book below. If you mention in your comment that you’re a follower (see in the left sidebar “Join This Site” and “Follow by Email”), I'll add your name a second time in the drawing. U.S. mailing address required to receive a paper book. I may or may not have read books offered for giveaways. The mention and giveaway of books on my blog does not in any way indicate any manner of my endorsement of said books. Read book giveaway details at Disclaimers. To provide you security, please leave your email address like this: johnATyahooDOTcom. Winner announced in next Thursday's blog post. claim to fame is that she writes full-time from a nursing home. This year she expects to reach fifty unique titles in print and she’s also contributed to more than twenty nonfiction titles. Her column, “The View Through my Door,” appears monthly in Bookfun Magazine. Her most recent titles are The Pony Express Romance Collection, Love's Compass, and To Riches Again. Welcome, Darlene. What has no one asked that you would like to share? Andrea Stephens suggests this question: You always seem to have a book in the works. What keeps you motivated? I’m self-motivated. But deadlines and accountability help. I used to be accountable to a writing group. Now I have deadlines. There is always another story to tell! Often I have the basic story concept in mind long before I actually begin writing. I also am working on deadlines—that's a great motivator. I would still write every day, but not be as focused, without those looming deadlines. This year I overcommitted myself—a novella every month from April through October. • They’re usually surprised—they don’t expect someone who is still writing to live in a nursing home! At this point in time, I write almost exclusively on the computer. When I started writing, I didn’t even have a computer. I wrote by hand in spiral bound notebooks, riding to and from work on the bus. At night I typed what I had written on my typewriter. Please tell us a little about your novella, The Gambler’s Daughter, one of nine novellas in The Pony Express Romance Collection. only a few are up to the job. Faced with challenges of terrain, weather, hostile natives, sickness, and more, can these adventurous pioneers hold fast, and can they also find lasting love in the midst of daily trials? The Gambler’s Daughter by Darlene Franklin. Where can readers purchase The Pony Express Romance Collection? Thanks for having me as a guest on your blog today, Jo! If you wanted to send a letter to someone who doesn’t live in your city, who would it be and why? Think like the Pony Express. If you didn’t have the mail service, how might it arrive? Darlene, thanks for visiting with my readers and me. Darlene is offering a paperback copy of The Pony Express Romance Collection to one commenter to this blog post. Commenters, to enter the book drawing please leave your comment on this post through April 25, 2017 and remember to leave your email address so I can contact you if you’re the winner. 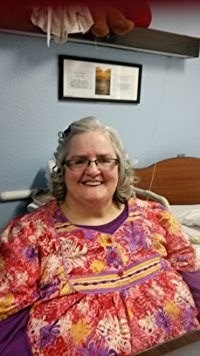 The winner of last Thursday’s blog post for a copy of A Spring of Weddings that includes A Proxy Wedding by Toni Shiloh is Patty. I’ll email you. Thanks all for commenting. Watch for more book giveaways. You can keep up to date with my writing by signing up for my mailing list. 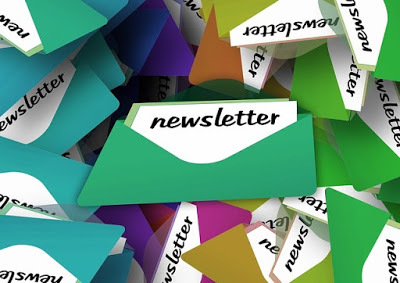 You'll receive a free quarterly e-newsletter and timely announcements. I have a monthly drawing among those who sign up for my mailing list for the first time, and the winner receives a free eBook copy of their choice of one of my books. I enjoy Darlene's writings and would love to read this collection. Thank you for the opportunity and thank you, Jo for a great interview. Hi Melanie, thanks for your kind words! Melanie, you're welcome. Glad you enjoyed the interview with Darlene. Thanks for commenting. Oh my, who would I write too, I guess it would be my daughter. 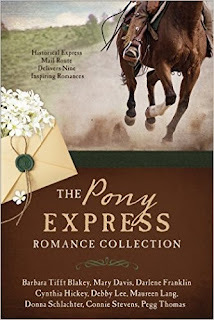 Thank you for the chance to win a copy of "The Pony Express Romance Collection", I love these books. Wendy, my mother was my most faithful correspondent. I would write to my daughter, but it would be a text or an email. I am always appalled by you Darlene ~ writing where you are and being so productive. Appalled isn't exactly the word I hope to inspire-lol, Bonnie. We are blessed to have so many ways to communicate! Bonnie, thanks for coming by and leaving your comment. I would write to my son. He lives in Colorado and I am in Minnesota. Fortunately we can communicate by Facebook. If we didn't have that or postal service, we probably wouldn't hear from each other. I love Darlene's books. She amazes me. Hi Nancy, I lived in Colorado for years. So glad you enjoy my books. Nancy, thanks for commenting and for following my blog! Paula, this Pony Express route started in Missouri. I'm not sure how many of the stories take place there. Mine takes place in Kansas. Jan, a thousand miles away? You're the kind of customer the Pony Express was designed for! Jan, thanks for stopping by and leaving your comment, and for following my blog! Sonja, the lack of communication must have been one of the hardest things for people who emigrated. Unless they were running away, of course! I have not yet read any of Darlene's books. I would love to win the Pony Express set. Debra, hopefully you will get to read one of my books soon! If you don't win, contact me at belovedfranklin (at) msn (dot) com. Anonymous, I'm glad my story is an inspiration. Thanks for your interest in my story. Debra, glad you found a new-to-you-writer here. Thanks for commenting and for following my blog! Ester, thanks for leaving your comment and for following my blog! Hi Darlene. I just saw in one of your answers to a comment that your Pony Express story is set in Kansas. I have a beloved aunt who lives in Olathe, Kansas and I am needing to write to her. This is before email so I will need to send it by snail mail. My former minister's wife is traveling to St. Louis to stay with her grandchildren while their parents travel to Lincoln, Nebraska for a meeting. They have reason to stop in Topeka, Kansas so my plan is set in motion. She takes the letter to St. Louis, they take it with them and when they stop in Topeka they leave it there. NOW, if the Pony Express were still in service, this couple would leave the letter at a PE station and a rider would deliver it to Olathe. As I imagined this scenario, I realized how difficult it was for our ancestors to correspond and I marvelled that I can send you this note with a simple click! Jo, I follow you by email. Connie, I love the imagination in your reply! Connie, thanks for your enjoyable comment. I appreciate you following my blog! I am very grateful for the post office! Tammie, thanks for stopping by to leave your comment. I have friends in Canada. Did they have the pony express? I am a follower of your blog. Not as far as I know, Janet! Janet, thanks for following my blog and for leaving your comment! I enjoy Darlene's books. And she a fellow Okie!! Great interview with Darlene! I ADORE these collections! Thank you for the chance. Caryl, you're welcome. Thanks for commenting. Hi Caryl, aren't these collections great?! I've been looking forward to this collection! Can't wait to read it! Elly, this is a wonderfully fun collection! Elly, thanks for coming by and leaving your comment. This book is on my to read list! Thanks for the giveaway..
Rita, hopefully it will rise to the top of your TBR list soon. Good luck. Rita, you're welcome. Thanks for comment. Would love to read this. Thank you for the chance. Hi Lucy, hope you get the chance to read it. Lucy, you're welcome. Thanks for reading my blog and leaving your comment. Hi Darlene! I'm very thankful for our mail service, because my best friend lives in Australia! If I sent her a letter without mail service, I'd have to mail her birthday card in October so she would get it by March, because it would have to be carried for months by ship! Teri, I love your inventive description of sending a birthday card to Australia! Teri, thanks for stopping by and leaving your comment. I love Darlene's stories and am eager to read The Pony Express Romance Collection! Thanks so much for sharing this great interview and giveaway!! Britney, waving hello! Glad you enjoyed the interview. Britney, you're welcome. Thanks for commenting and for following my blog! I am thinking of a dear friend who is a missionary in the UK. If this is back in the Pony Express days, I think that letter would have to go by ship and might take a month or more to get to her! Patty, we don't know how lucky we have it, do we?